When you reach into your pocket to make a call or check Twitter, you don't call it a "smartphone", you just call it a "phone". The "smart" part is assumed. That's where we're going in 2019. I'm not just talking about your phone. Or you car. Or your refrigerator. I'm talking about your entire infrastructure. We've reached the point where having to manually add new nodes to your cloud -- you ARE moving towards cloud-native, right? -- is the equivalent of pulling a flip phone out of your pocket. Yes, you can do it, but your competitors are going to laugh as they fly by you. Instead, you are going to see Infrastructure as Code as the standard, with deterministic pipelines as table stakes and machine-learning-infused monitoring and operations becoming more common around mid-year. If you're not ready for the transition to your architecture, at the very least you'll need to make sure that your new applications are built not just with cloud-native architecture in mind, but also with an eye toward edge computing and the Internet of Things. It's said that there are already more IoT devices than people and this doesn't just apply to consumer devices. Edge computing will emerge as the dominant architecture in 2019 with the combination of higher-bandwidth requirements for mobile devices and greater intelligent devices such as Industrial IoT becoming the norm. We're already seeing companies preparing for the onslaught with corporate consolidations such as IBM buying Red Hat (attempted hardware/OS synergy (though with increased containerization that may have been more about CoreOS than RHEL)) and Microsoft buying Github (attempted developer/Azure synergy). So what can you do to avoid getting bowled over? Look at your infrastructure. Have you made the move to cloud yet? If not you need to seriously consider your operations and how to decompose them into microservices that can be adapted for this new paradigm. Already on the cloud? Look at how flexible it is. If you haven't at least moved to Infrastructure as Code, it's time to start. Now. Nick Chase is Head of Technical and Content Marketing for Mirantis, and is deeply involved with cloud computing using Kubernetes and OpenStack. 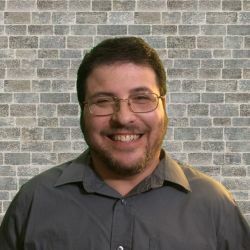 A former release team member for Kubernetes, he is a frequent speaker on technical topics and author of hundreds of tutorials and over a dozen books, including Machine Learning for Mere Mortals.